Eric Pieroni has resided in suburban Illinois his entire life and is very familiar with the surrounding areas. He joined Wenzel Select Properties in October of 2018 after spending six years working for a Chevrolet dealership in the financing department. While working for Chevrolet, he found a passion for assisting clients on financial concepts and long-term asset ownership. After years of helping and educating clients in dealerships, he was ready to take his career to the next level. He aims to apply the same work ethic towards real estate, as he did for his previous customers. He is highly motivated towards your wants and needs and will go above and beyond to make sure your experience is as much memorable as it is knowledgeable. 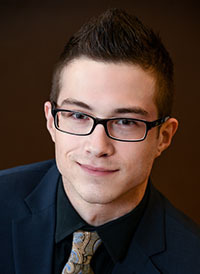 Eric achieved his brokerage license by attending Eastern Illinois University, prior to that studied a broad range of topics at College of DuPage. When he is not working, or studying– he spends time bowling, flying drones, and riding motorcycles. He’s a cat person, but doesn’t mind man’s best friend either! His long-term goal is flying helicopters.